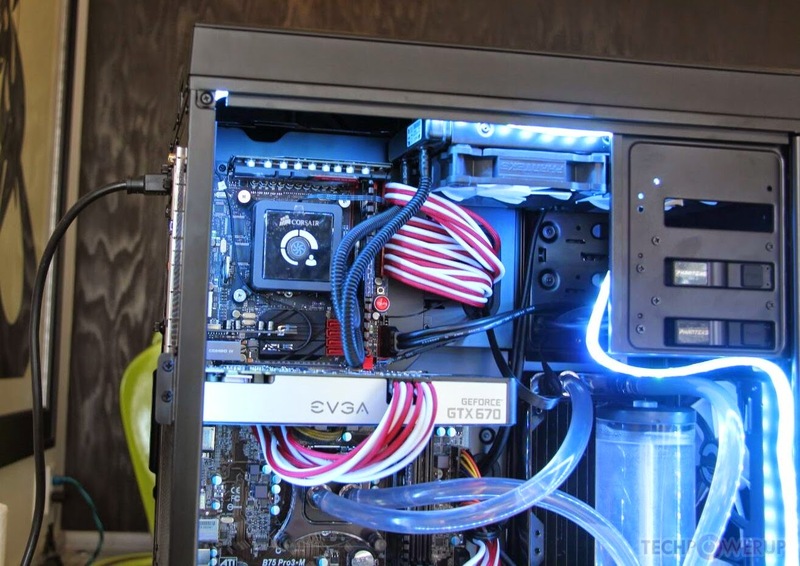 Computers can become really powerful all on their own, especially the ones that have more than one graphics card, or even two CPUs, but there is one step further that can be taken: combining two PCs into one. 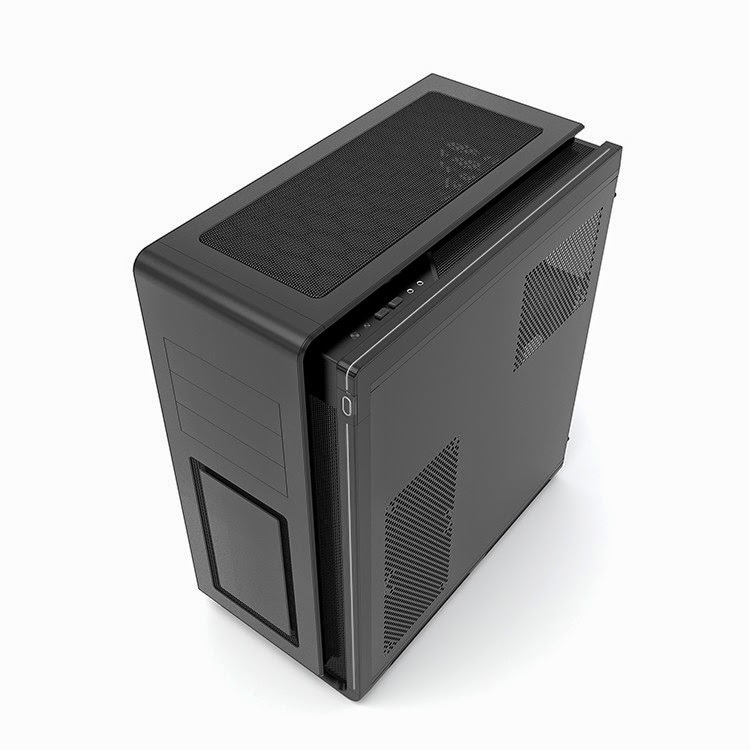 That is what Phanteks sought when it made the Enthoo Mini XL. 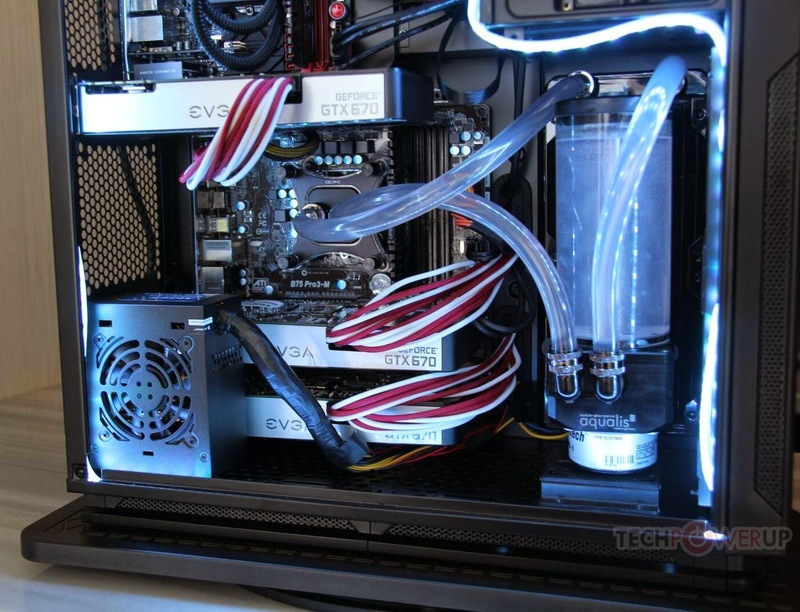 Technically speaking, making a “double” computer system would be as simple as using one of those dual-socket XL-AYX or E-ATX motherboards. But that still leaves the computer with a single suite of I/O ports, a single operating system, a single entity basically. 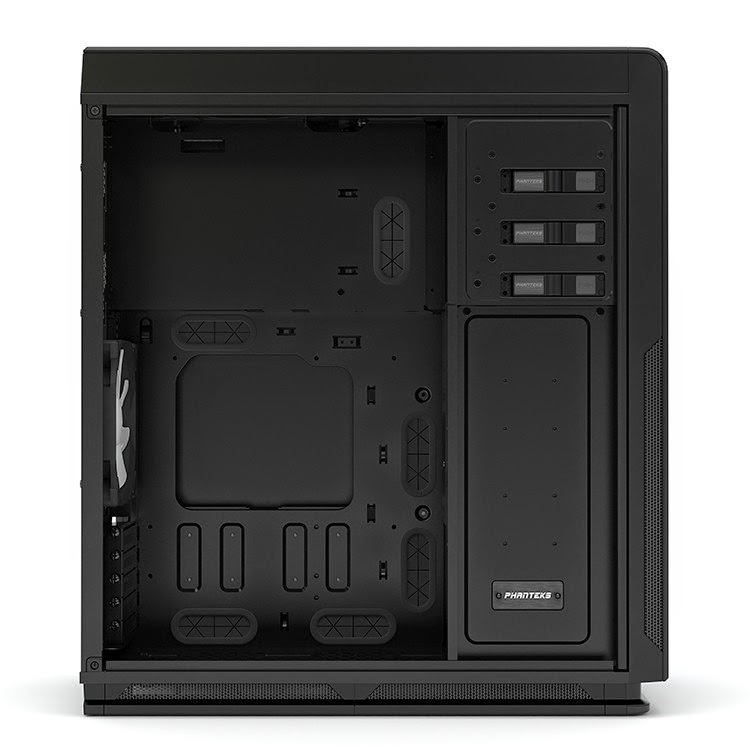 Phanteks wanted to make it possible for there to be two distinct systems in the same computer chassis, so it made the Enthoo Mini XL. 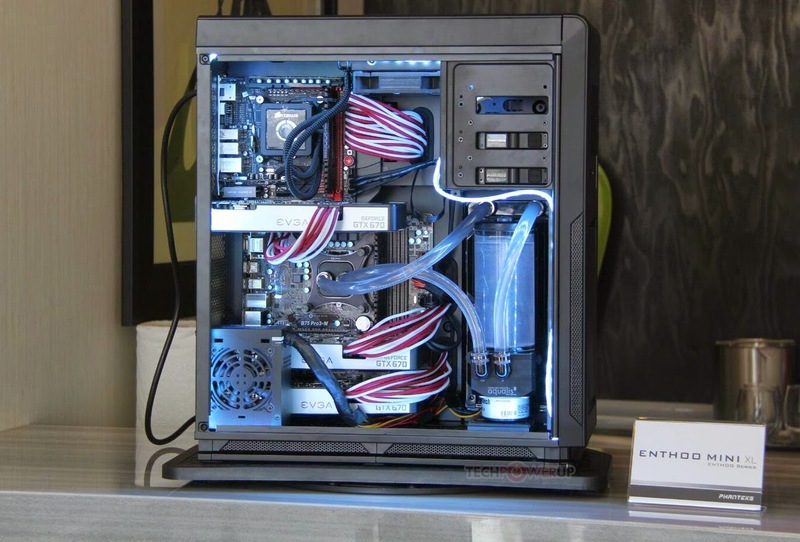 Normally, a full tower can hold a mini-ITX (however pointless it would be to outfit it with one), a micro-ATX or a Full-ATX motherboard. The Enthoo Mini XL can hold such a motherboard, as well as a second, exclusively mini-ITX platform on the upper side. You could call it the epitome of multitasking efficiency, since it lets you use a low-key system to browse the net and such, and start the second, high-end system when you want to play a game, design a game or CGI video, produce a CAD model for a 3D printable object, etc. With the help of normal LAN interfacing, you would be able to exchange data between the two systems easily as well. The rest of the case space will have to be shared between them though. 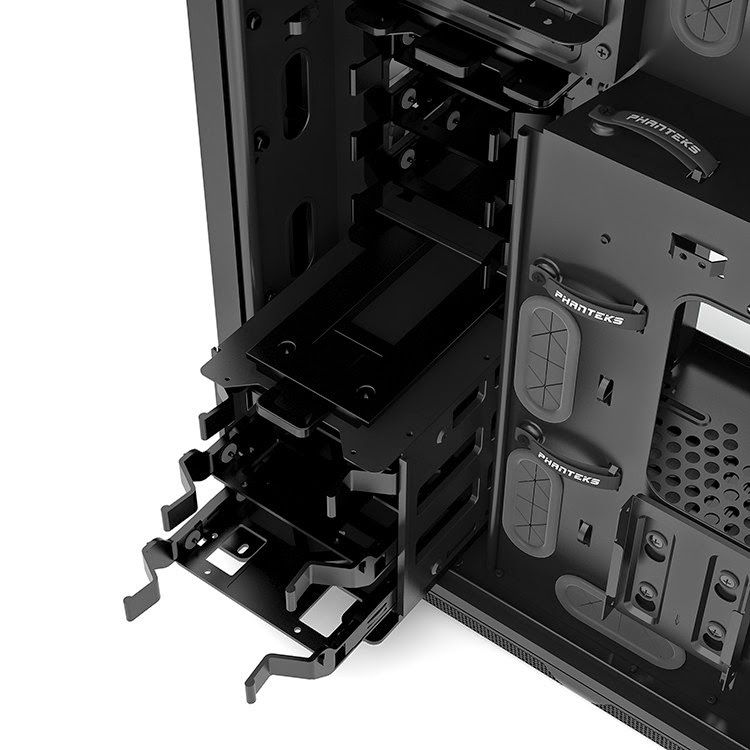 There are three 5.25-inch drive bays, two stacks of 4-tray 3.5-inch bays (which can be adapted for 2.5-inch drives), and room for a tall radiator (if you detach the bays that is). What won't have to be shared is the power supply (not that it would be possible in any case). 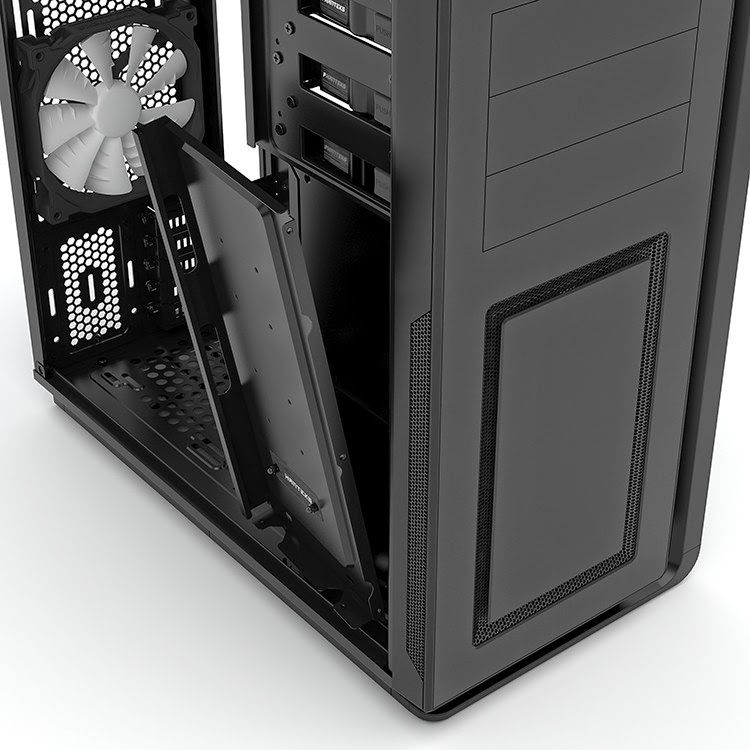 There are two power supply bays, a full ATX one and a small form factor SFX bay. 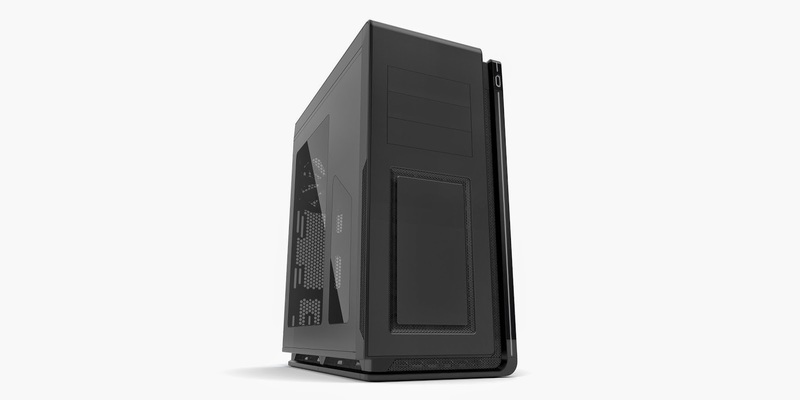 The Phanteks Enthoo Mini XL should show up for sale soon, and the price is of $180 / €155. Somewhat on the high side, but not on par with enthusiast, gaming models since the company has to get people sold on the idea first, and a higher price wouldn't help its case much. Now all that’s left to wonder about is whether or not this concept will be applied to laptops someday. Some might say that 2-in-1 tablet/notebook drives are it, but other possibilities shouldn't be discounted out of hand. The video below is of the case is it was back in May 2014. Phanteks has been working on it for quite some time it seems. Gallery below, click for larger image.